New research from Johns Hopkins University suggests that ecstasy, or methylenedioxymethamphetamine (MDMA) use increases the risk of developing sleep apnea among healthy young adults. Ecstasy is a synthetic drug that causes both hallucinogenic and stimulant effects. It was developed in Germany in the early twentieth century as an appetite suppressant, but today it is consumed for its hallucinogenic and stimulant effects. Most MDMA users are teenagers or young adults. More than 10% of high school seniors have tried MDMA at least once, and more than 2% have used the drug in the past month, according to the University of Michigan's Monitoring the Future Survey. MDMA users typically come from middle- and upper-class households. MDMA is inexpensive. The average retail price of an MDMA tablet is between $20 and $30 making it attractive and accessible to younger users. What are the potential risks of ecstasy use? The effects produced by consuming MDMA can last for 4 to 6 hours, depending upon the potency of the tablet. Using the drug can cause confusion, depression, anxiety, sleeplessness, craving for the drug, and paranoia. Use of the drug also may result in muscle tension, involuntary teeth clenching, nausea, blurred vision, tremors, rapid eye movement, sweating, or chills. People who have circulatory problems or heart disease face particular risks because MDMA can increase heart rate and blood pressure. Clinically significant levels of sleep apnea are defined as five or more episodes per hour of any type of apnea. There are three distinct forms of sleep apnea: central, obstructive, and complex (a combination of central and obstructive). Breathing is interrupted by a lack of respiratory effort in central sleep apnea, while breathing is interrupted by a physical block to airflow despite respiratory effort in obstructive sleep apnea. In complex (or "mixed") sleep apnea, there is a transition from central to obstructive features during the events themselves. Obstructive sleep apnea is a serious breathing problem that interrupts your sleep. It means you have short pauses in your breathing when you sleep. These breathing pauses – called apneas or apnea events – last for 10 to 30 seconds or longer. People with obstructive sleep apnea can stop breathing dozens or hundreds of times each night. Obstructive sleep apnea (also called OSA or obstructive sleep apnea-hypopnea syndrome) stops you from having the restful sleep you need to stay healthy. If it’s not treated, sleep apnea can lead to major health problems, accidents, and early death. You’re very sleepy during the day, but you don’t know why. You snore and have pauses in your breathing while sleeping. You gasp or choke during sleep. You’re very tired (you have fatigue). You have memory problems/ memory loss. For men: you have impotence (difficulty keeping an erection). The best treatment for obstructive sleep apnea is continuous positive airway pressure (C.P.A.P.). 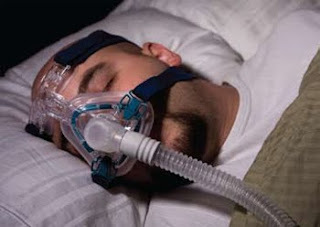 CPAP is the first choice treatment for all mild and moderate sleep apnea. It's the only effective treatment for severe sleep apnea. Sleep apnea can lead to various health problems such as diabetes, heart disease, neurological problems, cognitive deficits, impulsive behaviour and altered brain wave patterns during sleep. This study included 71 MDMA users that were recruited from newspaper and flyer ads seeking “club drug users”. The MDMA users had all used at least 25 times in their past. This amount appears to be significant enough to cause lasting effects on serotonin levels. Researchers also recruited 62 participants with similar patterns of illegal drug use. All of the volunteers were physically and psychologically healthy and had abstained from using for at least 2 weeks prior to participating in the study. During the study subjects were hooked up to various machines that measured breathing such as air flow monitors in the nose and mouth and bands around the chest and abdomen. Results of mild sleep apnea were similar in both groups where 15 MDMA users and 13 of the control group were affected. There were 8 MDMA users that had moderate sleep apnea and one had the most severe form of the disorder. Most shocking is that of the 24 with sleep apnea, 22 were 31 years of age or younger. The control group had no participants that fell into the moderate or severe forms of this disorder. In addition, it seems the amount of MDMA use is associated with the severity of sleep apnea as those who had used more in the past had more severe forms of the disorder.